Happy Monday, lovlies! I wore this outfit, to brunch, over the weekend. 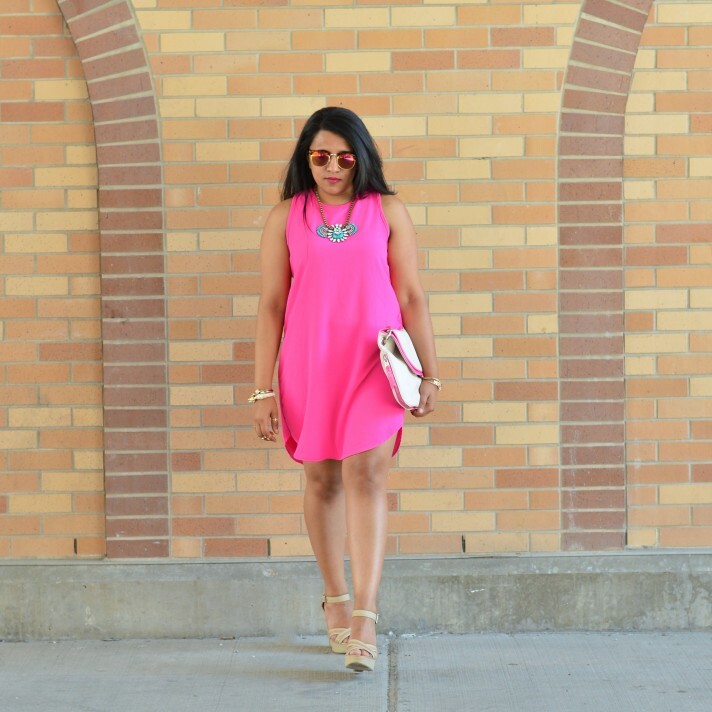 I scored this pink dress last week, at one of my favorites – TJ Maxx, and I fell in love with the color right away! It’s just the perfect dress for Spring & Summer. I’ve always disliked the hi-low hem, but I like the slight hi-low hem on this dress. 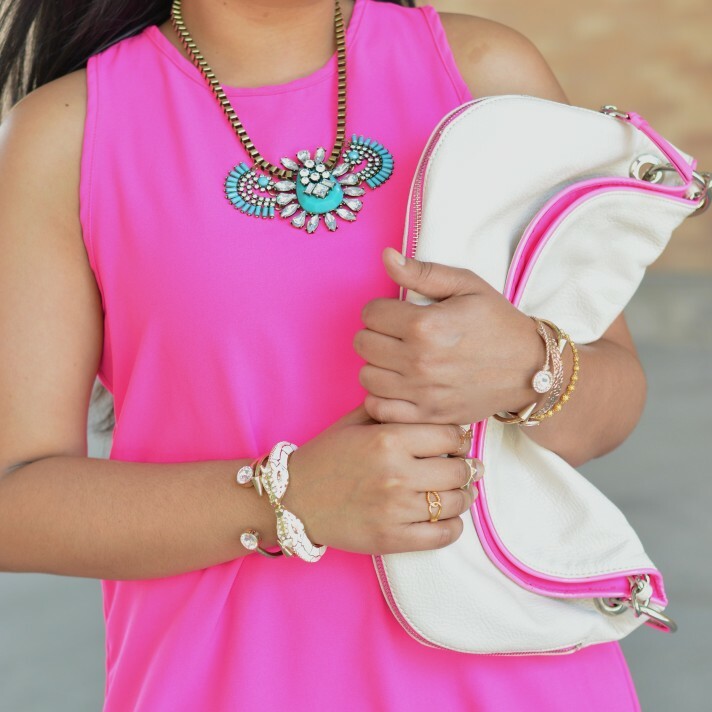 I kinda love the contrast of the turquoise necklace, against the bright pink dress! How would you guys style this dress? How was you guys’ weekend? The weather was amazing this weekend, so I was out and about. I wore this outfit to brunch on Saturday, and hadn’t originally planned on sharing it on the blog. Then, I shared it on Insta & Facebook and everyone loved it. So, I decided to shoot it! By the way, if you’re in New Jersey or New York, I’d LOVE for you to join me this Friday! 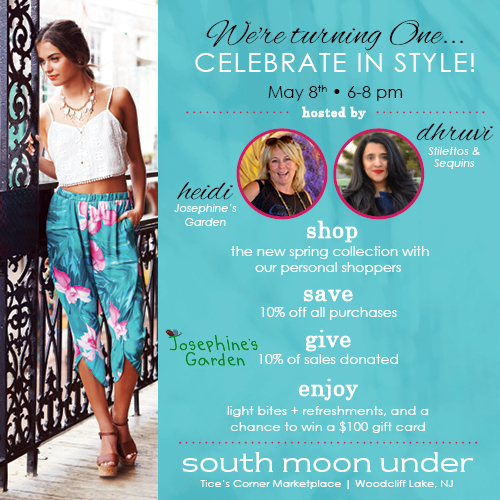 I’ll be the in-store stylist, at one of my favorite stores – South Moon Under in Tice’s Corner, Woodcliff Lake, NJ. It’s gonna be a super fun event – drinks, snacks, DJ & more! You’ll get 10% off your purchase AND 10% of all sales will go to Pediatric Cancer Research! I mean, you really can’t beat that, huh! I’ll be there from 6pm – 8pm. Hope to see some of you there!